Coffee Table Storage Cabinet - Brushed Design Co.
Coffee tables are great accent pieces to any room but they can get cluttered very easily. 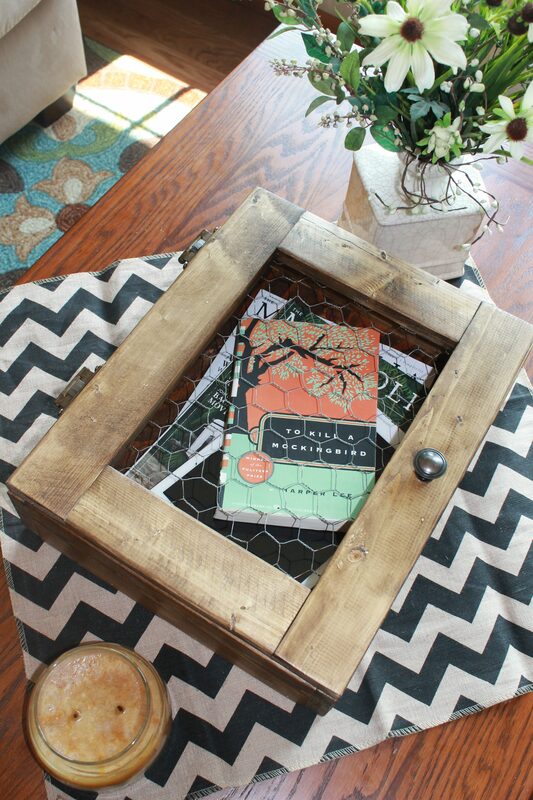 This quick project will make the perfect addition to any table in your home! Get a copy of these plans for FREE! This 11″ x 14″ storage cabinet perfectly holds magazines, books, and tablets while looking decorative in the process. This project is perfect for beginners and can be easily customized to fit your home’s design.